Bible poverty (lack of Bible availability and use) is a real issue in Latin America. Too often believers lack the knowledge and regular use of the Bible to be able to apply it to their lives. Latin Link members are seeking to reduce this problem across the region. This includes doing teaching sessions with church and denominational leaders, but it also includes taking individual opportunities when they arise. For example, while on an evangelism trip in Potosí, Bolivia, Latin Link member Maribel Woodley was able to use time in the kitchen peeling potatoes to help one Quechua woman come back to faith. Pray for all those workers who are tackling Bible poverty in Latin America, and that believers who have strayed will have open hearts to return. The Freehands prison team in Cochabamba, Bolivia, has done great work organising and running classes in the jail. One Latin Link member reports: ‘Topics include bakery, cooking, etiquette and protocol for common situations, and health and safety in the home. They’re designed to help prisoners engage in work and society after leaving prison. I could see how Jesus could fit into most of the classes, but queried the Christian input into cookery and baking. I was told the cooking/stewing time was used to have full-blown, enthusiastic Bible studies - altitude means even potatoes take at least 40 minutes to soften, so there’s plenty of time!’ Pray for the prisoners, that while learning life-skills in preparation for leaving jail, they embrace the One who can best provide for them ‘outside’. For the children who attend, the annual Angel Tree Camp is special. It may be the only time they leave the city during the year, or have their own bed, or have three meals a day: for they all live in prison with their jailed parent(s). The camp is run by the Angel Tree Centre, which provides support for children of people incarcerated in Oruro prison in Bolivia. The most recent camp had 41 children aged 4–13. It has craft activities, competitions, games, singing, a film, lots of food, and plenty of praying and learning about Jesus. Pray that the seeds sown in the children’s lives take root, and that the children seek a different path to their parents. The Quechua people are a marginalised people group who live in the Andes. Because of their strong traditions, some Quechua beliefs and practices can unhelpfully pass into the lives of new believers. One such belief is that people can get ill because they had a ‘scare’ (and as a result, their spirit departs from their body), or because they were attacked by a malevolent ‘spirit-wind’. Pray for ATEK, an organisation promoting the use of Scriptures in the Quechua language, as it develops discipleship materials to help believers develop a Biblically-shaped worldview. The town of Huanuni is home to Bolivia’s largest tin mine. Health problems are common and the miners seek protection by making offerings to a statue of the devil before they enter the mine. Unión Cristiana Evangélica (UCE) runs a church in Huanuni, and its members have a vision to bring health and hope to their town. Volunteers from Belania Church started by running a radio station for 15 hours a day to broadcast positive messages to the community. Now, the congregation is making plans to protect the town’s young people from the drugs and heavy drinking that many turn to. They also want to tackle the pollution problem, beginning by collecting the rubbish that litters the streets and clogs the river. Give thanks for UCE’s determination to see a brighter, healthier future for the people of Huanuni, and pray that God would bring this to fruition. Bolivia is a multicultural country that has experienced various social changes over the last ten years and is starting an economic stabilisation process, the impacts of which will only be seen in the long run. The level of corruption is still high and it is one of the poorest countries of Latin America. Most students can only get into state universities, which generally offer teaching of lower quality. The challenge for Christian students is to contribute to their society through their faith in two areas: the academic excellence and the fight against corruption and poverty. Pray for students to be moved by God in both mind and heart to share his message with passion and with tenderness to a suffering nation. Pray also for continued financial provision for CCU, the Christian student movement. Pastor Franklin Cuenca is serving in his home city of Tarija, working with the youth and helping in leadership training. He says that Tarija is often called ‘the city of smiles’ due to the warmth of the people, however, as anywhere else, spreading the gospel is challenging. ‘Pray we will be loyal ministers of the Lord Jesus so that people will get to know our generous and forgiving God’. TV and radio has a big role to play in reaching Bolivia with the Gospel. A radio is a vital possession to every family. There are now 11 local evangelical stations as well as international stations broadcasting daily in Spanish, Quechua and Aymara. One local radio station in Guayaramerin in Northern Bolivia recently had its 170-foot tower destroyed in a construction accident. Pray as Radio Inspiración rebuilds the tower and operates with reduced coverage, that listeners will not be too impacted by these changes. Potosí is home to many families living on the brink of survival. Most adults get jobs in the mines, but since the wages are usually not enough, children as young as five years old head to the mines after they finish school. Hundreds of children work for eight to twelve hours to earn a mere £3. Even if accidents evade them, prolonged exposure to the dust usually causes a lung disease called silicosis, putting the average life expectancy for miners at 40 years. Pray for an improvement in the working conditions for the miners of Potosí and for the ministry of organisations seeking to help children escape this cycle of poverty. Over 80% of Bolivian children live in extreme poverty, and an estimated 80,000 of them are addicted to drugs. Many are abused, trafficked or simply abandoned by parents unable to care for them. Tunari Treasures was founded in 2004 to work with the local community in Cochabamba. The ministry involves equipping teenage boys from low income backgrounds in metalwork, life skills and faith; preparing them for employment and creating an atmosphere in which they feel free to share their personal struggles. The project has trained and discipled seven groups of young men so far. It offers employment to several people and the team are committed to the training of local managers, so that the entire project can eventually be handed over to them. Pray for the ongoing success of the project, that it will make a real and lasting impact on the lives of young men in Cochabamba. Many children growing up in the poor city of Oruro, Bolivia, face a tough choice - work or education. Money now or a better job later. Often the biggest thing on their minds is simply survival. Street-hawking is a major draw for children needing to provide for their families. However, life working on the street puts these children at great risk of being targeted for child prostitution, forced labour and involvement in drug cartels. Pray for the Oruro network which is training teachers to help them gain the trust of such children and to offer them the right help, while encouraging them to stay in school and build towards a brighter future. 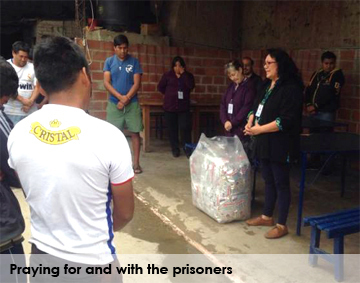 In Bolivia, prisoners have to support themselves both during their stay and after their release. Freehands is an initiative that helps women prisoners and former prisoners to earn a living, reducing the risk of becoming involved again in crime. The support they offer ranges from organising Cervical cancer tests, to help with the process of readjusting to life on the outside. As well as spending time getting to know the women and running Bible study groups, they also plan day trips to thermal springs, zoos and museums. Pray that the lives of these prisoners would be changed so much by Jesus that others would be encouraged and want the same for themselves. In Bolivia former prisoners have found it difficult to settle in local churches because of prejudice and fear from other members of the congregation. 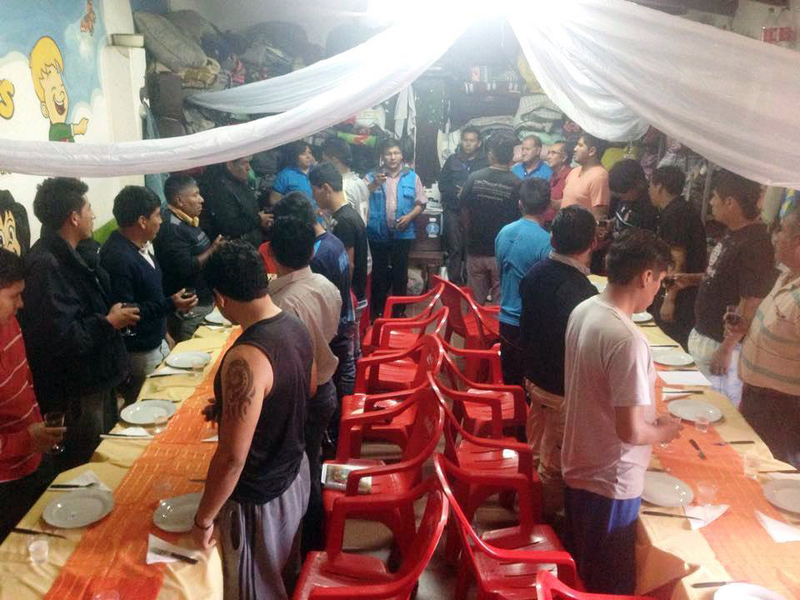 In Cochabamba a number of men who became Christians in jail are planning to have a special service together once a month. It's obvious that some sort of spiritual support is needed for these new Christians and Latin Link is looking at how their existing ministries may be able to help. Please pray that these men will find a place where they can grow and develop in faith. Over 80% of children in Bolivia live in extreme poverty and around 100,000 under-14s in urban areas have to work to earn a living for themselves and their family. Life on the streets often leads children into gang cultures where alcohol and drug abuse are common - most of the time it is a means of dulling the pain and suffering that their life brings them. More than 80,000 children in the country are known to be addicted to drugs. 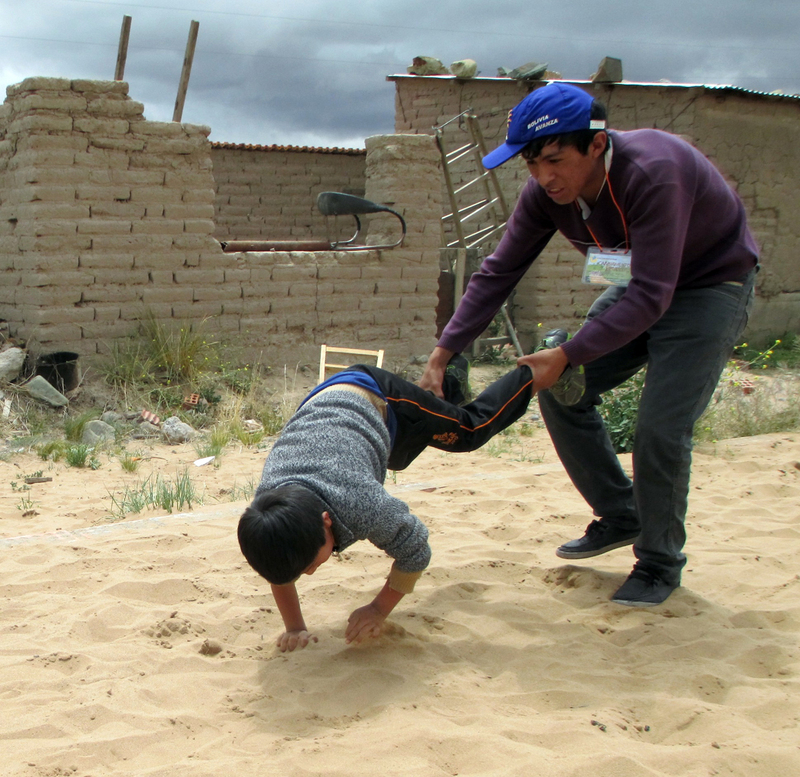 Child abuse, trafficking, and abandonment are other serious challenges that many Bolivian children face. Pray for the thousands of children in Bolivia who suffer so much and face so many different kinds of dangers. Pray too for the Bolivian government, that they would be firm in fighting the causes of child poverty, abuse and abandonment.